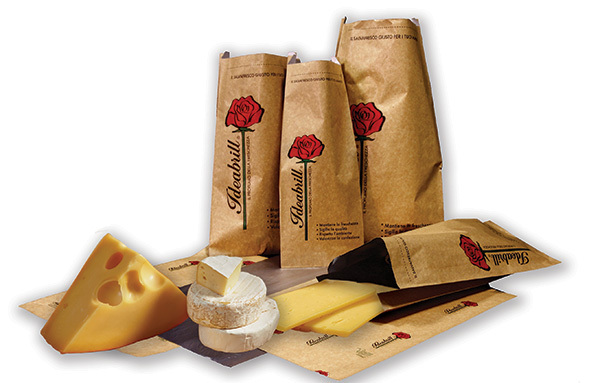 Esseoquattro SpA has created Scoprigusto Ideabrill® which features a sideband, a new and alternative packaging solution to what is already available on the market that makes it faster to wrap up take-away cheeses. The solution gives the product a more artisan look, will keep it fresher for longer (supported by tests on shelf life conducted by the Food Safety and Quality Group at the University of Camerino) and makes preserving the product easier for the consumer who can reuse Scoprigusto to preserve the remaining cheese once opened by closing it with a kitchen pin. Compared to traditional solutions, this packaging drastically reduces the space used during transportation, in warehouses and waste and consequently is beneficial for the environment. Scoprigusto Ideabrill® is an extremely versatile product as it can also be used for individual portions of dried fruit and vegetables and at deli counters.